Ricca Terra Farms is a unique and truly special cluster of Australian vineyards. The vision of founders Ashley & Holly Ratcliff in 2003 was to identify and nurture grape varieties that suited a Mediterranean climate. 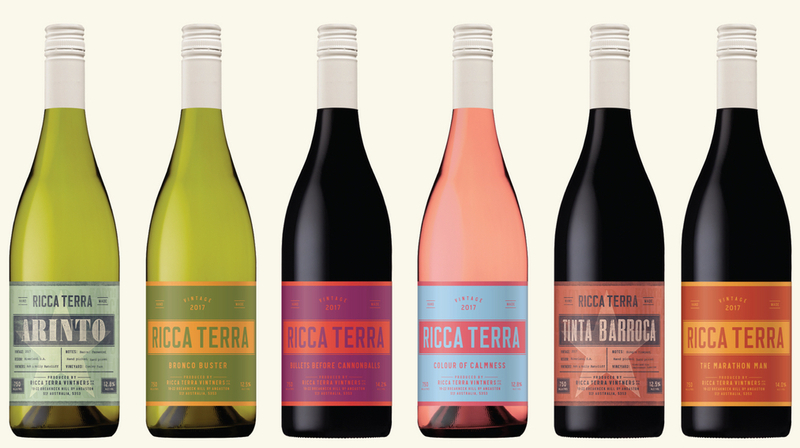 Today Ricca Terra Farms is one of the leading producers of alternative wine grape varieties in Australia. Using viticulture, irrigation and management practices that are second to none, Ricca Terra Farms has been recognised by bodies such as Landcare, Australian Society of Viticulture & Oenology, Environment Protection Authority, ABC Rural & Gourmet Traveller Wine for its on-going contribution to the Australian Wine Industry and the environment. Today Ricca Terra Farms is a gathering of premium vineyards and viticulturists who are located throughout the Riverland, all growing grapes for some of the leading and most exciting winemakers in Australia. Today, Ricca Terra Vintners has established the mantra to blend grape varieties in the vineyard rather than in the winery....and make wines of interest with stories to tell!